Home Blog Sign up for our Android Workshop! Sign up for our Android Workshop! This entry was posted in News on March 18, 2016 . We’re happy to bring you the opportunity to take part in a free Android workshop, offered by Roweb in partnership with the Mathematics and Computer Science Faculty within the University of Pitesti. The workshop is based on market requirements and latest trends and it’s brought to you by one of our most experienced colleagues: Magda Miu has been developing Android and iOS apps for more than 6 years and she’s passionate about supporting developer communities as a founding member of GDG Pitesti and Women Techmakers Romania. Through this workshop, you’ll add up to the knowledge acquired in college and gain more experience that can also increase your chances to be selected for our 2016 Summer Internship. 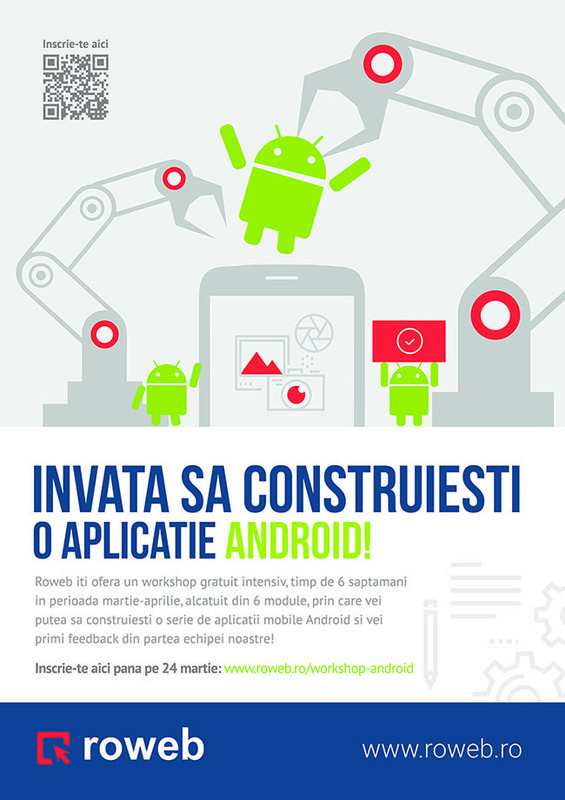 Seats are limited – hurry up and apply before March 24th: www.roweb.ro/workshop-android.